A little rain did not stop the Labor Day shoppers from taking advantage of major discounts all weekend long at The Village Shops on Venetian Bay. From Friday, August 31st to Monday, September 3rd, guests shopped for the whole family, earning up to 70% off apparel, shoes, and accessories for men, women, and children. Racks and tables were stationed outside the storefronts full of discounted designer products at unbeatable prices. 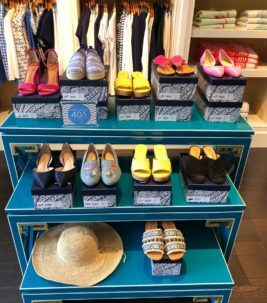 The offerings were high and the price points were low as the retailers transitioned their collections from the latest summer styles to new fall favorites. 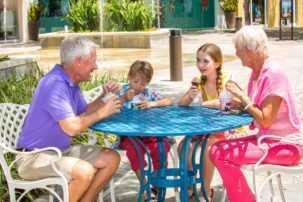 The six sparkling waterfront restaurants, Rendez-vous French Café, and Naples’ only Ben & Jerry’s also filled throughout the weekend providing a much-needed shopping break. There is no better way to start or finish a day of shopping than with a coffee, ice cream cone, and/or cutting edge cuisine. Shopping for a cause made the weekend splurges that much more worth it. 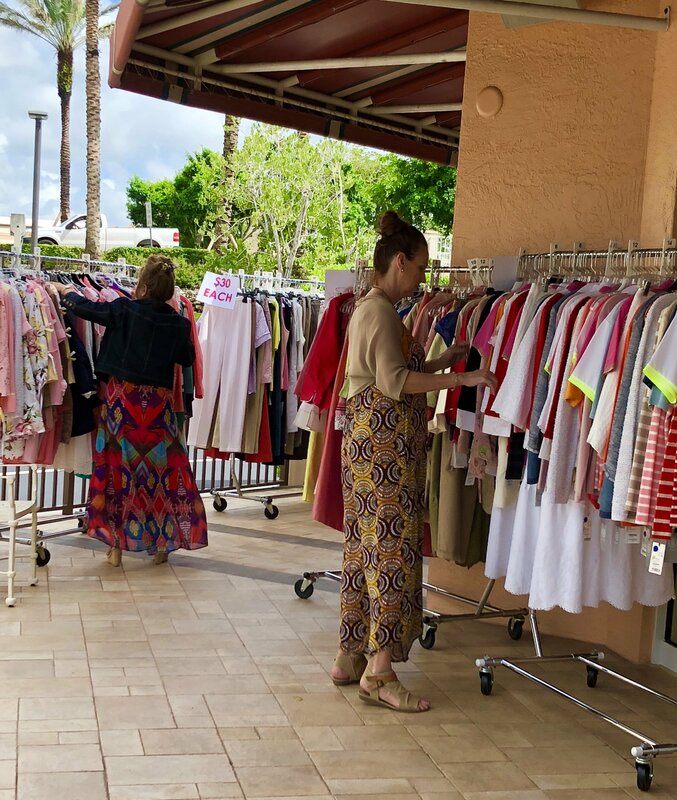 After an eventful day of shopping and dining, guests placed receipts in the drop boxes on property and 10% of sales from collected receipts were donated to SNIP Collier to help support local dogs in Collier County. 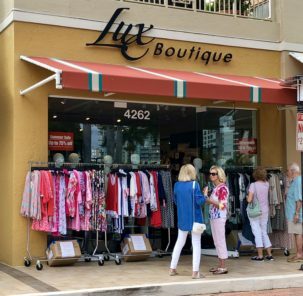 If Tropical Storm Gordon stopped you for shopping the sales this weekend, don’t worry, the boutiques extended the sales just for you!